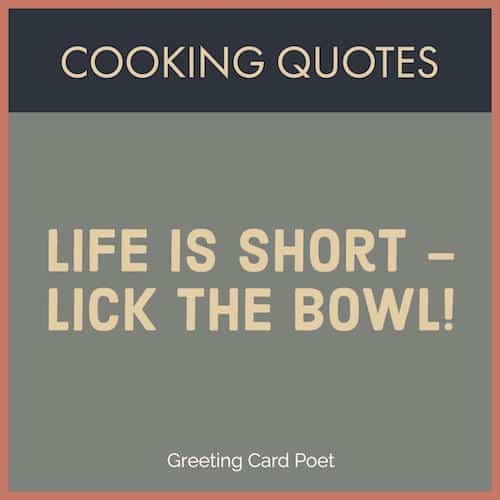 Good cooking quotes might make your mouth water, think of your favorite dining experience, or give you more appreciation for the cooks in your life. Some say that the secret to cooking is love. Others say its music. And others have their own definition of what contributes to great cooking. There is hardly any other art form that is so prevalent and yet so much valued. Cooking can give you a kind of personal gratification that hardly any other form of art can. In fact, it is not just an art – it is a combination of science and art. There are no fixed rules to it. Some are gifted cooks and it comes naturally to them, and then there are those who pave their path to greatness. There is more to cooking than meets the eye. 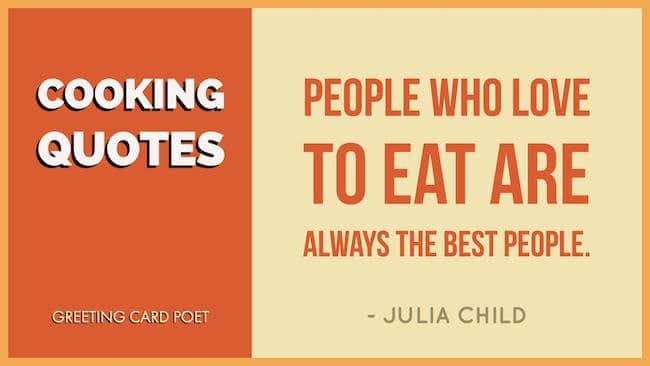 If you have someone around you who is a great cook or you yourself love the art of cooking, here are some good cooking quotes for you. Kissing don’t last: cookery do. Great cooking is about being inspired by the simple things around you — fresh markets, various spices. It doesn’t necessarily have to look fancy. Cooking is the art of adjustment. The only real stumbling block is fear of failure. In cooking you’ve got to have a what-the-hell attitude. Oh, I adore to cook. It makes me feel so mindless in a worthwhile way. The most indispensable ingredient of all good home cooking: love for those you are cooking for. One day I’m going to make the onions cry. Fish, to taste right, must swim three times: in water, in butter and in wine. 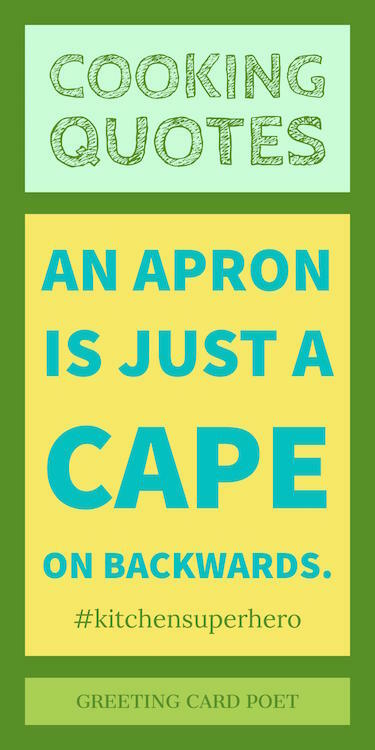 An apron is just a cape on backwards. The smoke alarm going off is like the half-time buzzer in my game of cooking. The saddest thing in life is to marry a woman who looks like a cook – and isn’t. Never trust a skinny cook. Until I discovered cooking, I was never really interested in anything. Cooking Rule… If at first you don’t succeed, order pizza. Usually, one’s cooking is better than one thinks it is. Hunger finds no fault with the cooking. Cooking well doesn’t mean cooking fancy. When men reach their sixties and retire, they go to pieces. Women go right on cooking. If anything goes wrong at the table, the cook is forever dishonored. He survives not the disgrace. Let him welcome death. Cookery is a wholly unselfish art: All good cooks, like all great artists, must have an audience worth cooking for. You don’t have to be a chef or even a particularly good cook to experience proper kitchen alchemy: the moment when ingredients combine to form something more delectable than the sum of their parts. Fancy ingredients or recipes not required; simple, made-up things are usually even better. …no one is born a great cook, one learns by doing. There are people who claim to be instinctive cooks, who never follow recipes or weigh anything at all. All I can say is they’re not very fussy about what they eat. For me, cooking is an exact art and not some casual game. He who receives his friends and gives no personal attention to the meal which is being prepared for them, is not worthy of having friends. Food is not about impressing people. It’s about making them feel comfortable. If you’re not the one cooking, stay out of the way and compliment the chef. 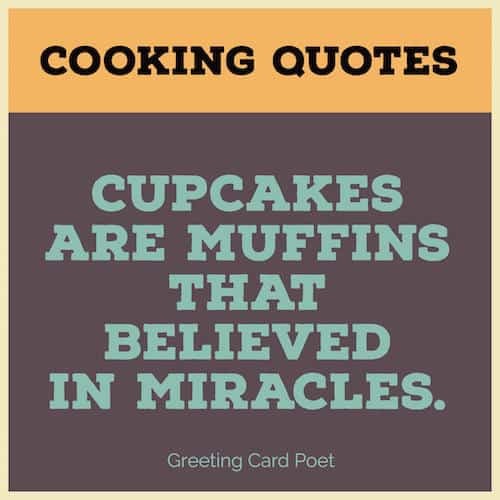 If you have any ideas for good cooking quotes you’d like to share, please use the Contact page. Thanks. You’re on Good Cooking Quotes and Sayings page.